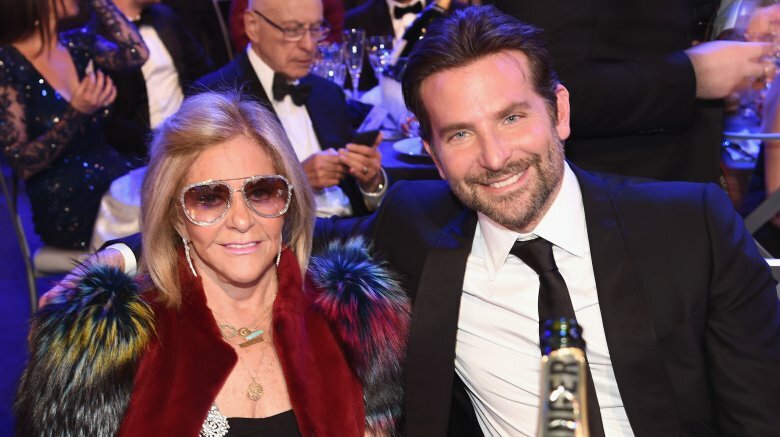 Bradley Cooper is a four-time Academy Award nominee; he has an extraordinary singing talent that most of us didn't know about until A Star Is Born; he fluently speaks French; and he absolutely adores his mom, Gloria Campano. Basically, Cooper is the perfect man, and his relationship with his mama is the ultimate live-action equivalent of the heart eyes emoji. Cooper and his mom bonded deeply after the passing of his father in 2011. Since then, she's doubled as his red carpet date, roommate, travel buddy, coworker and relationship sounding board. She's stood by his side through Golden Globe nominations and heartbreak alike. What else are mamas for? According to the Independent, the pair is allegedly so close that Cooper calls her several times a day. Some people may call their tight knit bond strange, but we're leaning towards the sugary sweet side. 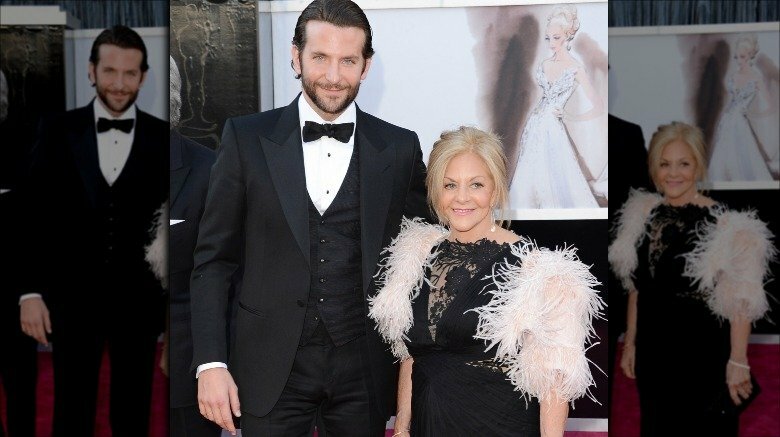 Let's explore the weird and wonderful relationship between Bradley Cooper and his mom. Moving away from home is a major milestone of adulthood, but Bradley Cooper is apparently a boomerang child — for the sweetest reason. Cooper invited his mama, Gloria Campano, to live with him in Los Angeles so the pair could heal together following his father's death in 2011. In an interview with Details (via the Los Angeles Times), the star admitted that it's "probably not easy" for her to be roommates with him, but they're doing the best they can. "My family is very close, and my dad dying was brutal for all of us. It was a schism, and its aftershock has not stopped. And we need each other. So here we are … it's not like I live in a compound and she's in the guesthouse. No, she's in the next room. But here's the thing: she's a cool chick. We can hang, and she can roll with the punches." It's unclear if Cooper is still roomies with his mama to date, but it would certainly help to have grandma around while he's caring for a toddler. 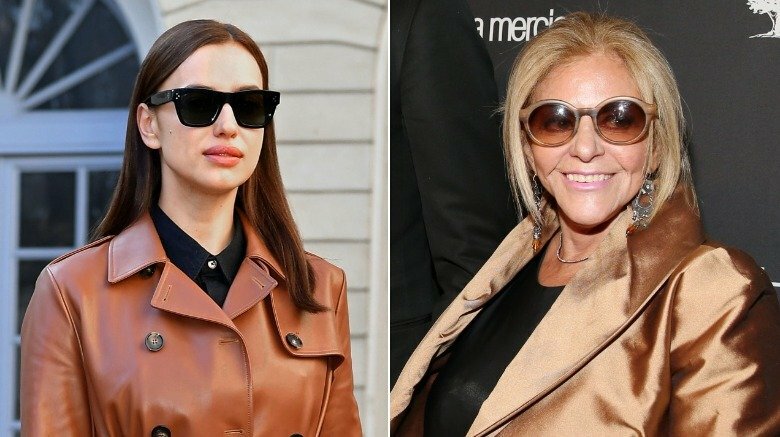 As of 2015, Grazia (via the Independent) claimed Cooper wanted both Campano and his girlfriend and baby mama Irina Shayk to live with him. Celebrity red carpet dates are a really, really big deal. They're the stuff from which ultra-speculative headlines are made. Want to debut a new relationship? Show up together on the red carpet. Want to spark breakup rumors? Walk alone. Needless to say, it's a pretty big deal that Cooper wanted to share his moment at the 2019 Screen Actors Guild Awards with his mom rather than his longtime girlfriend Irina Shayk. According to Harper's Bazaar, the actor's film, A Star Is Born, was nominated for four SAG Awards but lost in every category. Hey, at least he had his mom there to cheer him up. But where was Shayk? For starters, Cooper and his lady love have a notoriously private relationship and don't often appear together on the red carpet. In fact, she was reportedly busy with a Marc Jacobs event in Moscow during the SAG awards. Cooper does have a bit of a habit of taking his mom as his date. The star was spotted with her at the 2015 Tony Awards and the 2013 Academy Awards, where Cooper was nominated for his role in Silver Linings Playbook. Campano, who is total style goals, wore sensible metallic sneakers at the latter. We're just wondering if they sat near Chris Evans, who also brought his mother to the Oscars that year. Family is everything to Cooper, who took his father's death particularly hard. According to the Independent, the actor took care of his dad, Charles Cooper, who was suffering from terminal lung cancer, the year prior to filming The Hangover Part II in Thailand. He reportedly moved in with his parents five months before his father passed away in his arms. Bradley talked to the Independent about losing his dad. "It's a new reality," he said. "Everything, everything. It's not even one thing, it's a whole new world. And it was instantaneous. It wasn't like, months later. It was like, his last exhale, and I was holding him, and it was like, everything changed." Cooper has since started wearing his father's wedding band. At first he wore it on his left hand as a "tribute" to his mother's strong marriage, reported Hello! According to The New York Times, the actor began wearing it around his neck sometime before September 2018. 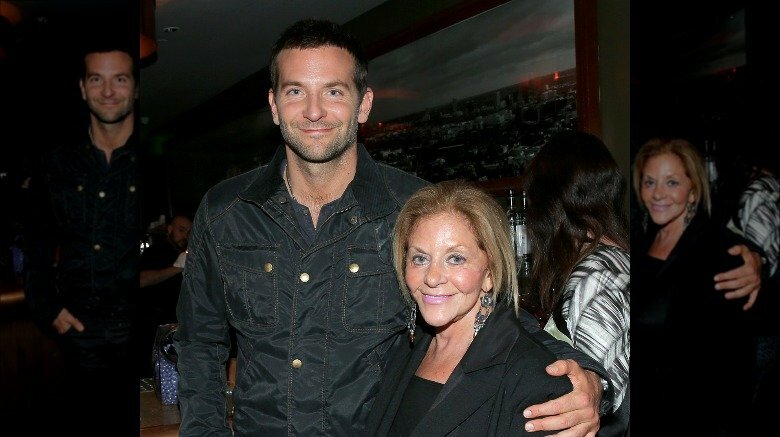 If Bradley Cooper didn't spend enough time with his mom at home, the pair also enjoyed a brief working relationship. In an interview with E! News, the star revealed that his mother had a role in the making of Joy. "She actually was a consultant for [Director] David [O. Russell] on the movie when he was conceiving it because she's a huge disciple of QVC," he told E! News. "She goes, 'I bought this great … device where if you're driving a car it can tell you how to get to a place.' And I was like 'What are you talking about? … Mom, it's like Google Maps, like navigation,'" he said. "'No, it's a device I can carry around with me,'" she told him. Yes, QVC even managed to sell Gloria Campano something she probably already has on her own phone. Bradley Cooper's relationship with Irina Shayk has been subject to a whole lot of speculation. The notoriously private couple have managed to endure almost every break up rumor thrown its way — especially now that tabloids claim Lady Gaga is waiting to pounce following her broken engagement. But perhaps the worst of the rumors targeting Cooper and Shayk involved another woman — his mom! In 2016, The Sun (via the Daily Mail) reported that the couple allegedly split because of problems involving Gloria Campano. According to the tabloid, Cooper cut Shayk loose after she clashed with his mama during the Christmas holidays. They had reportedly been discussing moving in together, and Campano and Cooper, who were long-time roommates, are kind of a package deal. Of course, those reports may have just been speculation. According to E! News, Shayk is actually "extremely close" with Campano. Either way, it's pretty obvious that if you don't get along with Cooper's mom, you won't get along with Cooper. 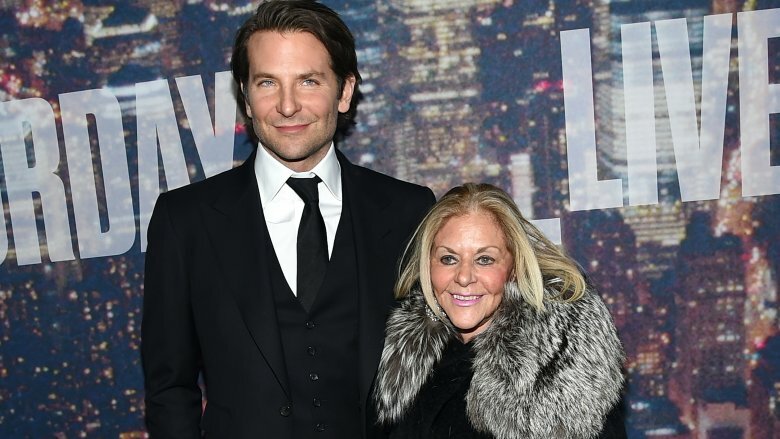 Meeting the mom is a huge step in a relationship, but it seems like Bradley Cooper's mom wastes no time. About three months after Cooper and Irina Shayk were allegedly spotted making out at Rihanna's Met Gala after-party, the star supposedly brought his model girlfriend home to mom. According to Hello!, Cooper introduced the pair in August 2015, and the ladies bonded "over a hearty dinner." He reportedly took his gals to Steve & Cookie's in Margate, N.J. where they "ate the whole menu, pretty much" and took their homemade desserts to-go. Did he take Shayk home with his mom? We can't tell, but she seems like the type of lady who'd cook them both breakfast the morning after. Shayk and Campano must have gotten along great during that initial meeting because the pair planned a solo outing the following month. According to People, the women were spotted walking Cooper's dog together in New York City. Bradley Cooper's travel buddy isn't just his gorgeous model girlfriend. Sometimes, mom tags along for a fun-filled beach holiday. According to People, Cooper took both his mom and Irina Shayk – the two loves of his life — to the Jersey Shore in 2015, just a couple weeks after the model reportedly met his mother for the first time. Seriously, if it wasn't intimidating enough meeting the parents, imagine living with them in a cramped, Jersey shore house when you've barely bonded. (Okay, maybe shore houses aren't so cramped when you're an A-list actor.) Anyway, maybe they found some common ground over a cup of Polish water ice. People reports that Shayk hopped around to "several" towns in New Jersey with Cooper and his mom. They got a Philly cheesesteak at Bob's Grill in Ocean City, went out for some ice cream in Brigantine, and the actor even reportedly stole a kiss with his Shayk before meeting mom for dinner in Atlantic City (We're guessing this was one of their rare moments of alone time). Every mom has some sort of opinion about who their children are dating, but Campano reportedly has no problems actually voicing that opinion. They don't tiptoe around the truth in the Cooper-Campano household. According to Radar Online, Cooper's mom was a huge roadblock in his relationship with actress Zoe Saldana. She allegedly pushed for the pair to split for good. An anonymous source (take that as you will) reportedly told the tabloid that Campano was less than stoked when her movie star son rekindled his romance with Saldana. She apparently tried to get to know the actress (She was spotted at a solo movie date with her in 2012) but ultimately felt like she was difficult to get to know. Campano supposedly played it straight when telling her son that he hadn't found the one. "When Zoe and Bradley started talking to one another again, she told Bradley that their relationship failed twice already, what's the point of going through all of that again?" the insider alleged. Hey, if Campano did actually say that, it doesn't seem like she was that wrong. Cooper is now a proud papa with Irina Shayk, and they seem super serious. Mama knows best!